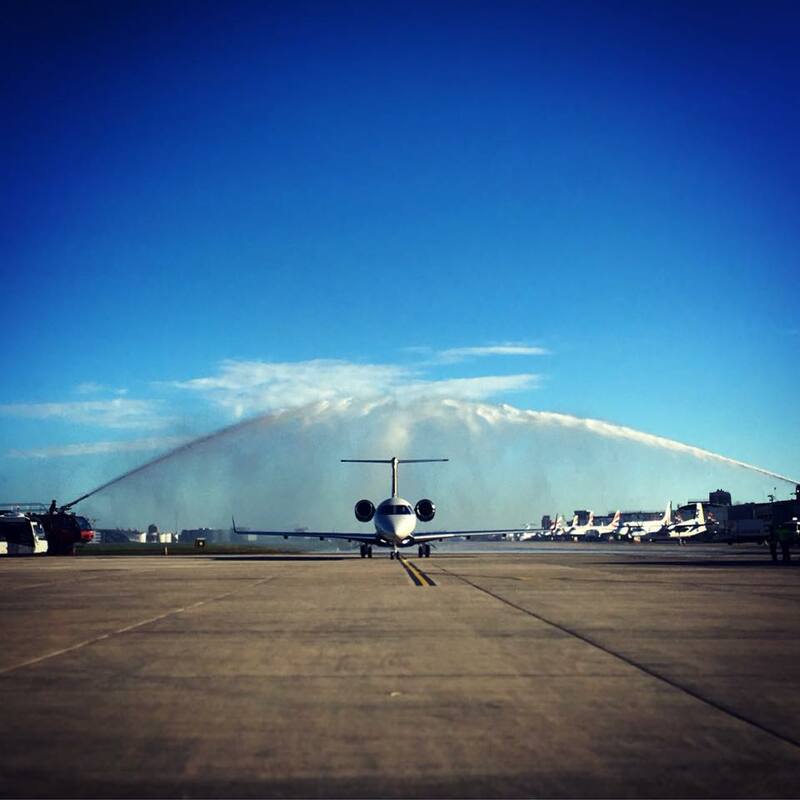 Private air charter provider, SaxonAir, has joined London City Airport in celebrating its 30th year anniversary by performing a special demonstration flight into the airport with its class-leading Embraer Legacy 500 aircraft, G-SUEJ. Key stakeholders from the aviation industry were welcomed on-board by G-SUEJ’s dedicated flight crew, who showcased the Legacy 500’s state of the art qualities, including its fully digital fly-by-wire driven controls and remarkably low noise levels during take off and cruise. G-SUEJ has proven exceptionally popular with both business and leisure travellers alike and has recorded an incredible 90% utilisation rate since it entered service in March 2017. The Legacy 500’s clean sheet design makes it just one of just twenty-five private aircraft types certified to fly to and from London City and is superior to many rival private aircraft that are unable to satisfy the airport’s strict noise abatement regulations, short runway, steep approach glidepath and departure angle. This presents a unique opportunity for business and leisure passengers to travel to and from the heart of the nation’s capital on-board one of the most technologically advanced private jets ever produced, whilst avoiding the inconvenience and congestion synonymous with conventional travel. “SaxonAir’s Legacy 500 has been a wonderful addition to the London City Airport service and the aircraft has already served as a real asset, particularly to business travellers who require rapid access to the city’s financial district,” said London City Airport’s chief executive officer, Robert Sinclair. “The synergy between SaxonAir’s state-of-the-art Legacy 500 and London City Airport sitting just three miles from Canary Wharf and ten miles from Mayfair means that we are able to provide travellers with unrivalled access into London. SaxonAir made aviation history earlier this year when it became the first United Kingdom-based operator to fly passengers on-board the Legacy 500 into London City with G-SUEJ. Passengers travelling to London City with SaxonAir are offered exclusive access to the airport’s Jet Centre, where it takes just ninety seconds from arrival to pass through security and board G-SUEJ. G-SUEJ features a fully-equipped wet galley and the latest in cabin connectivity – including WIFI, SatPhone and a high-definition inflight entertainment, displayed on multiple 19” full HD screens with individual touchscreen and wireless iPad/iPhone controls. The Legacy 500’s 6 ft. tall and 6 ft. 10 in. wide cabin is the largest in its class and its 110 cubic feet of main baggage capacity, complemented by a generous inflight-accessible baggage compartment and cabin stowage space, enables travellers to carry additional luggage for longer journeys. Additional to its impressive passenger comforts, the Legacy 500 is also an incredibly fast aircraft. Last November, the Legacy 500 wowed the aviation industry and set a new benchmark after reaching continental and transoceanic routes in record time, thanks to its two Honeywell HTF7500E engines, the greenest in their class. To book your flight on board SaxonAir’s Legacy 500, please contact our dedicated sales team by telephoning +44 (0) 1603 518 118 or by emailing charter@saxonair.com.